A stop-motion animation by Dropbear Digital for Opiuo's music video Quack Fat. The video uses 40 audio cassettes, 5,600 feet of video tape, 108 floppy discs and 1 walkman. 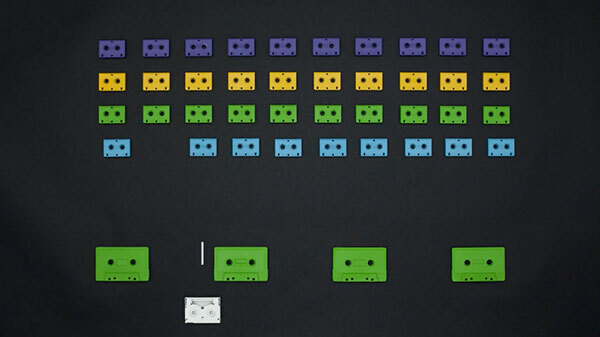 The retro feel is maintained throughout the video by animating the cassette tapes and floppy disks into old-school video games such as Pong, Space Invaders, and Tetris. Dropbear is a film and animation studio based in Melbourne, Australia.